Wreckage of the small plane carrying the Argentine soccer striker Emiliano Sala and his pilot, David Ibbotson, has been found in the English Channel, a shipwreck hunter said on Sunday, days after parts of the aircraft’s seat cushions were discovered on a French beach. 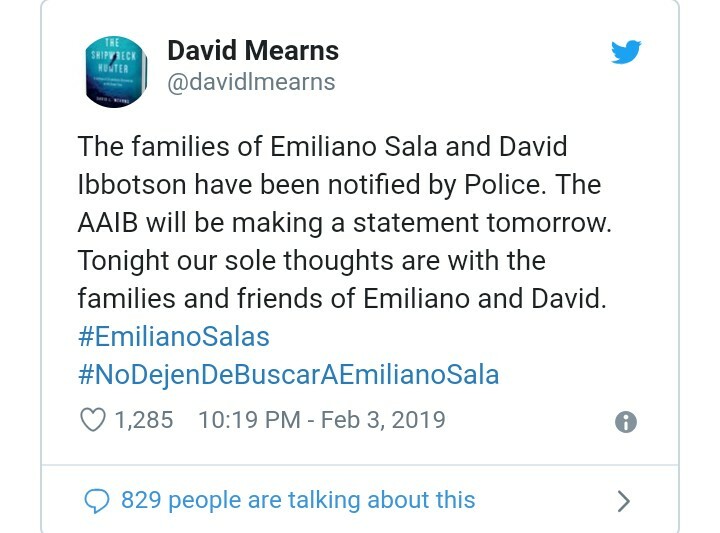 “The families of Emiliano Sala and David Ibbotson have been notified by police,” David Mearns, a maritime scientist whose team led the private search for the Piper Malibu plane, said on Twitter. The single-engine, propeller-driven aircraft disappeared over the English Channel after departing Nantes, a city in western France, at 8:15 p.m. local time on Jan. 21, headed for Cardiff, the capital of Wales. Mr. Mearns told the British broadcaster Sky News on Sunday evening that the vessel “was located earlier this morning by my crew onboard the Morven,” referring to the FPV Morven. Mr. Mearns said his team had provided Britain’s Air Accidents Investigation Branch with the location of the wreckage. “In agreement with the A.A.I.B., as soon as the plane was located, and the position was passed to them, their vessel, the Geo Ocean III, then moved in over the wreckage” and took over recovery operations. He said the agency would make a statement on Monday morning. After the authorities’ ended their search, Romina Sala, Mr. Sala’s sister, pleaded with the authorities not to call it off. Geo Ocean III, the Air Accidents Investigation Branch’s vessel, departed Ostend, a coastal city in Belgium, on Sunday morning to begin a three-day underwater search, the organization tweeted. 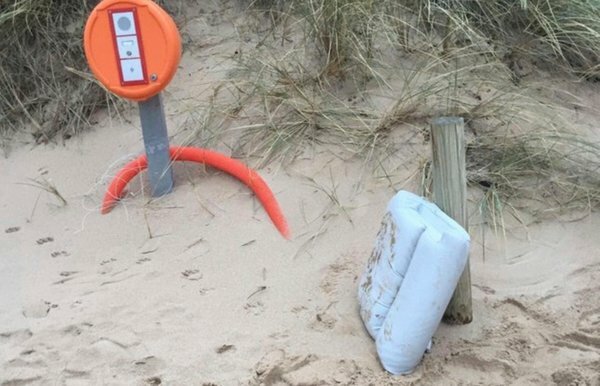 The search area was to cover about four square miles, according to the BBC.